Ain’t friendship grand? As The Beatles once sang; “I get by with a little help from my friends”. And we all do, whether it’s going out for a birthday beer, or calling in a favour to your best friend to help you hide the body of the guy you accidentally killed (that one doesn’t come up often) it’s good to know there are people out there who have your back. 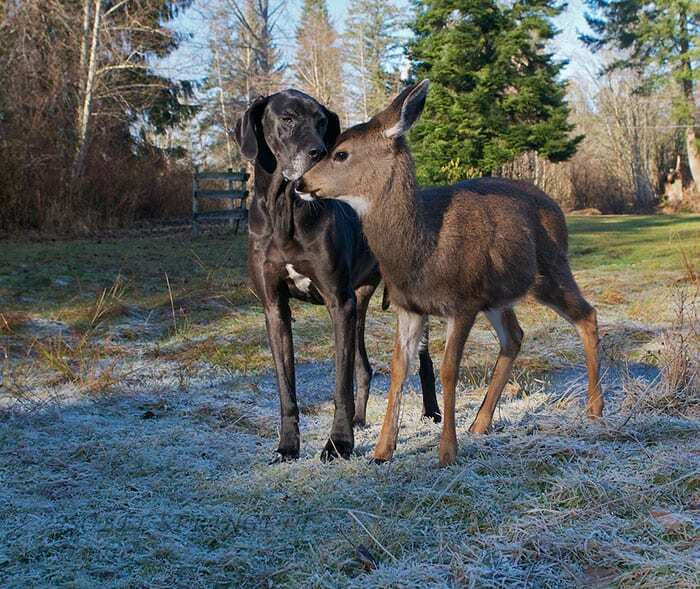 Naturally, friendship isn’t limited to humans, and even animals are open minded enough to travel in social circles outside of their own species. 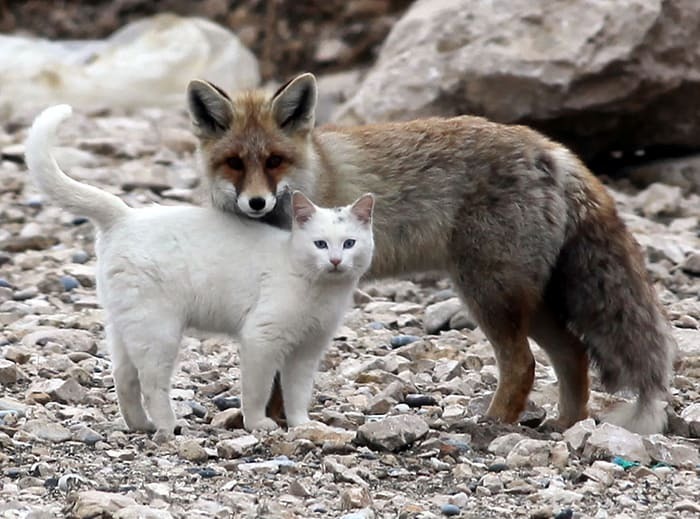 We’ve rounded up ten pictures of the cutest animal odd couples, just for you. Just like the film. But presumably without quite such a tragic and heart breaking ending. 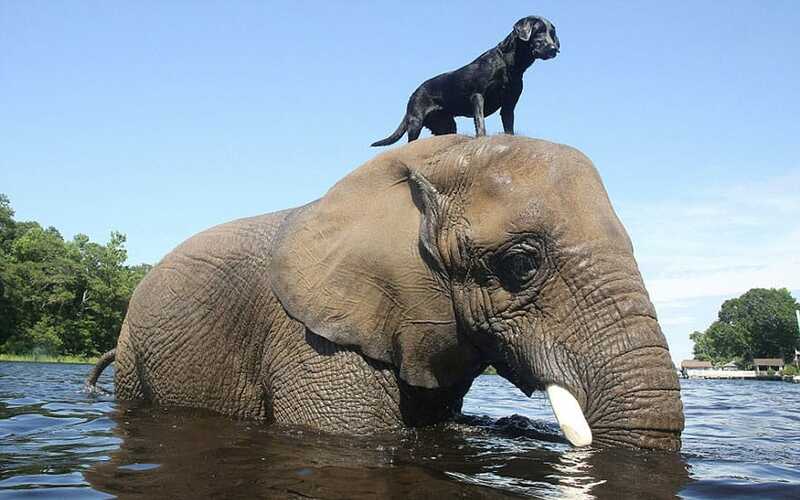 Bubbles the African Elephant and Bella the Black Labrador. 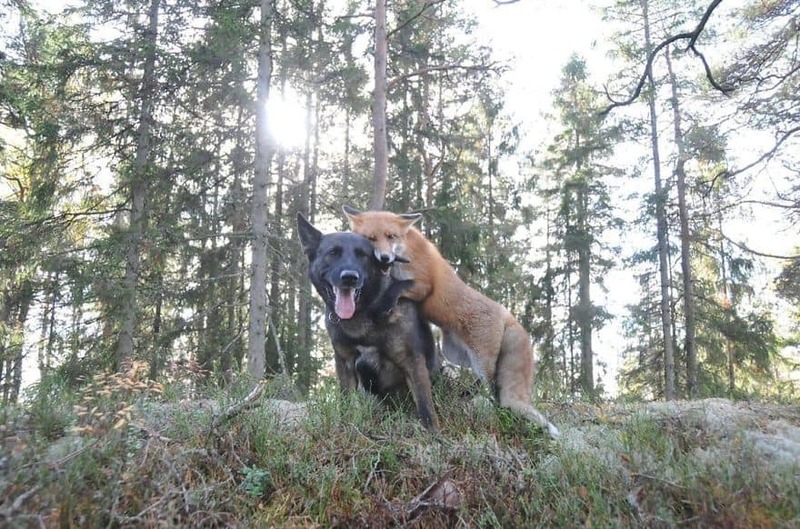 Some pictures just make you so happy to be part of this incredible, crazy world, and this undoubtedly one of them. The sequel that Disney never got around to making for whatever reason, bought to life here by these two cuties. 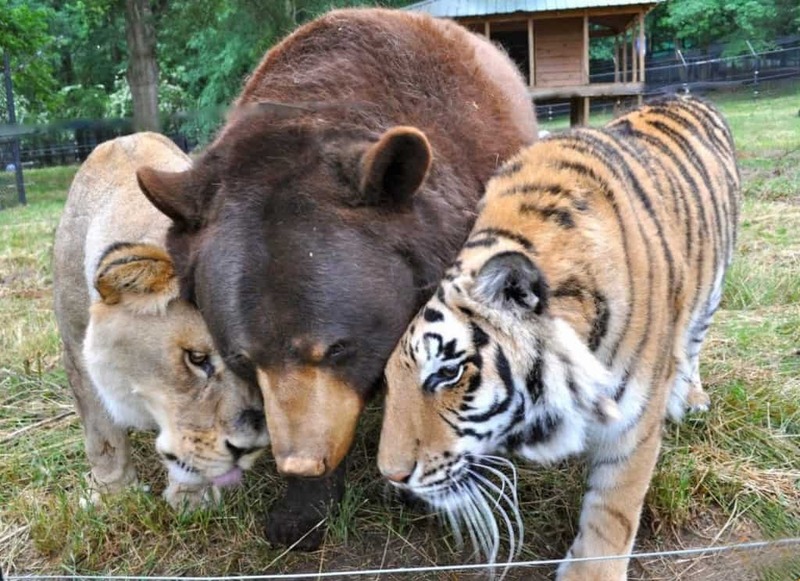 Meet best friends Shere Khan, Baloo, and Leo (we’re seriously not making this up). Well… here’s a match up we would never have thought of even if you’d given us a hundred years. 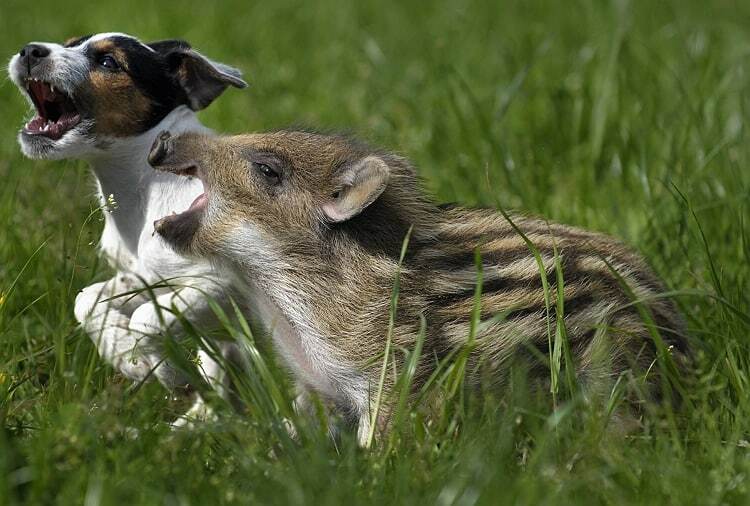 Surprisingly cute, too. 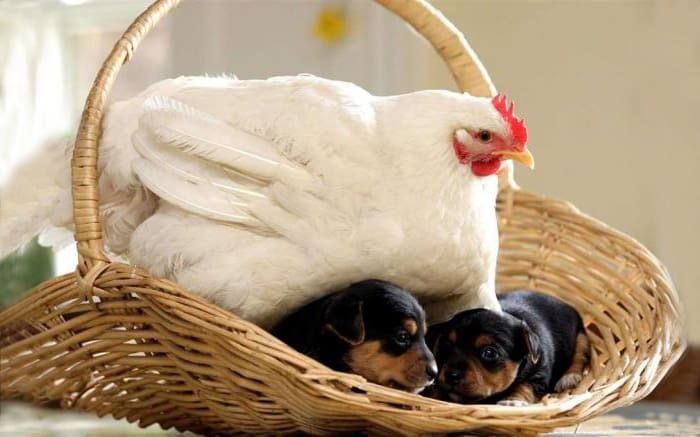 We don’t have the heart to tell Mabel the chicken that these puppies won’t hatch into baby chicks. 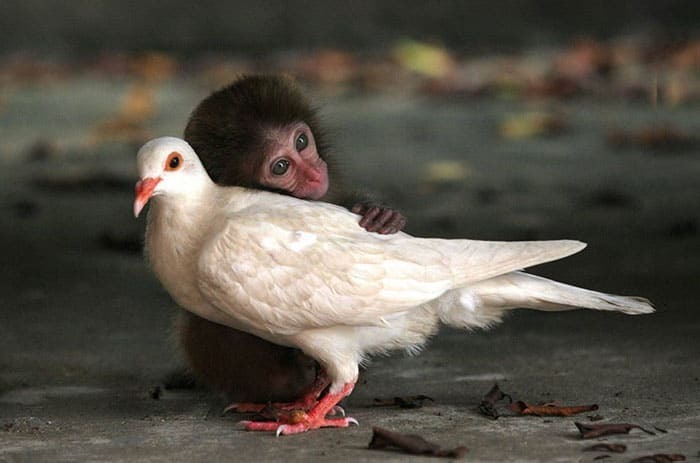 This image is so sweet it looks like it’s been ripped straight out of one of Gran’s Christmas Cards. 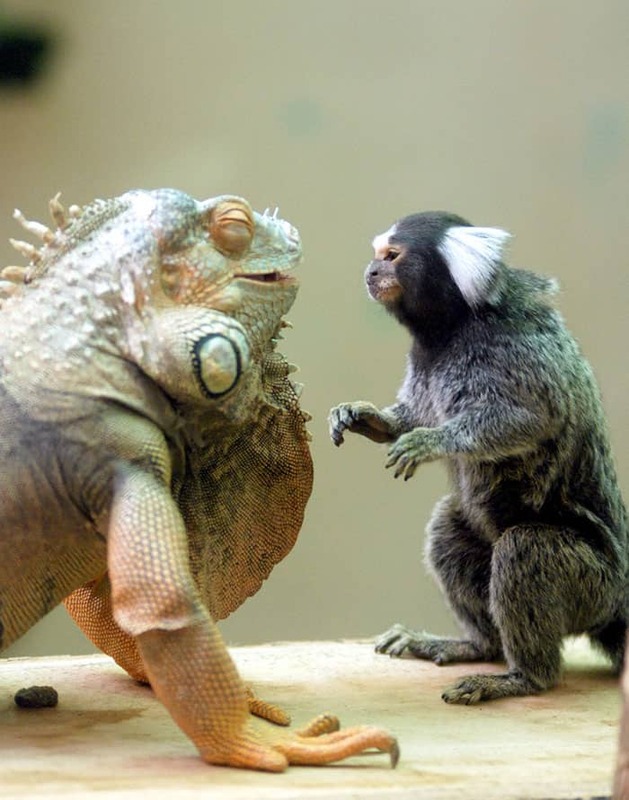 This iguana and marmoset are sharing a joke you will never understand. You had to be there. 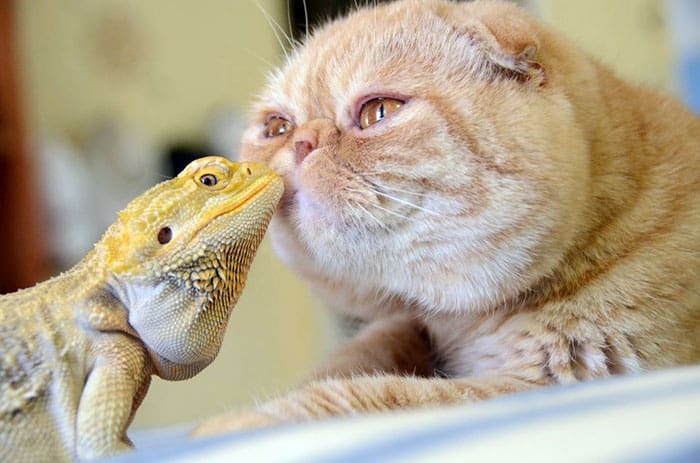 This cat and bearded dragon are sick of hiding their unorthodox love from the world. You go guys, fight the power.